Hoffman devoted much of his artistic efforts to depicting working life in the United States and Latin America. 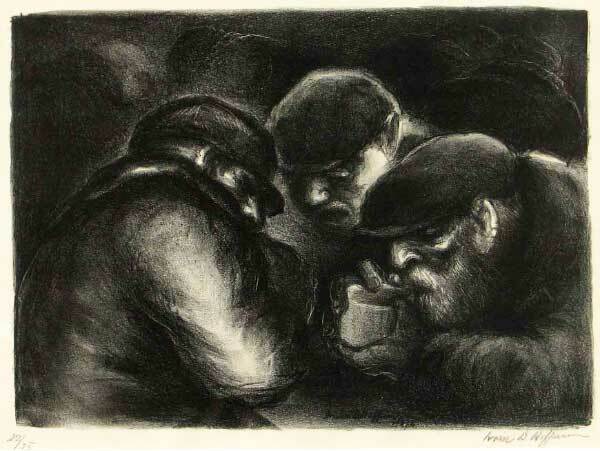 The three men in the foreground of Soup Kitchen are huddled together sipping something warm not only to offset the cold weather but also to buffer the hardships of the Depression. Irwin Hoffman, Soup Kitchen, 1934. Lithograph, 8 3/4 x 12 in.